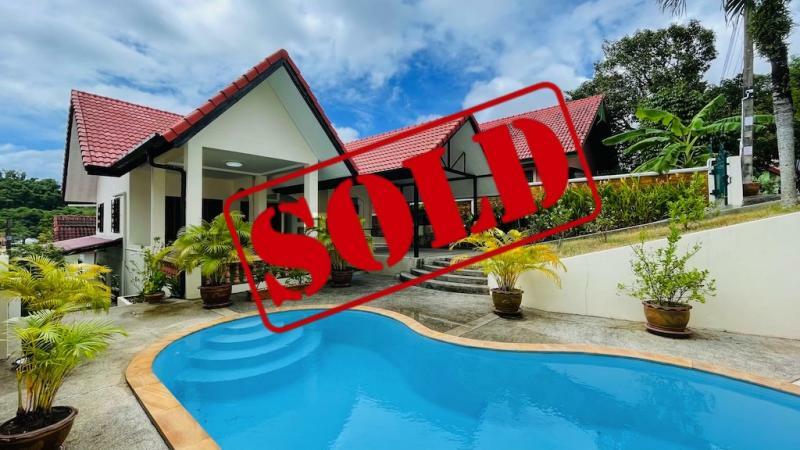 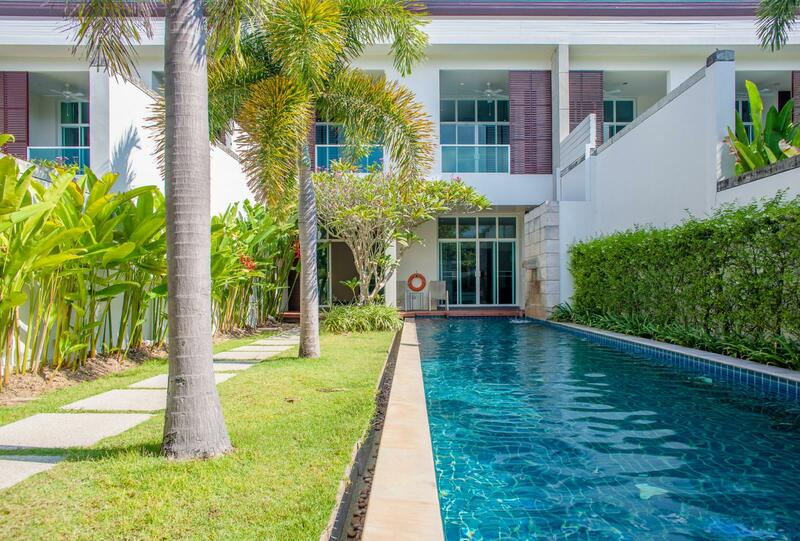 Phuket - A spacious modern 4 bedroom duplex villa for sale in Bang Tao, with a 15 m pool in a private and high-walled garden. 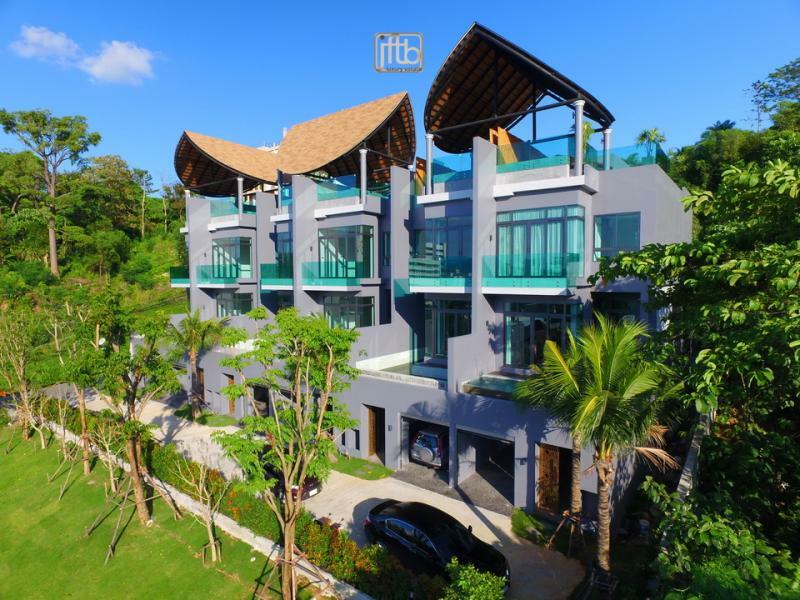 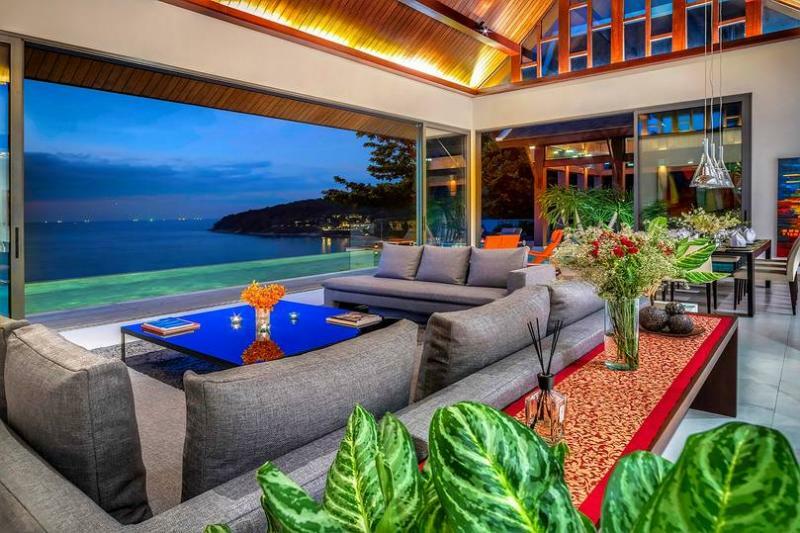 This luxurious duplex 4 bedroom private pool villa for sale, with modern contemporary style, is located at just 600 meters to Bang Tao beach, on the West coast of Phuket. 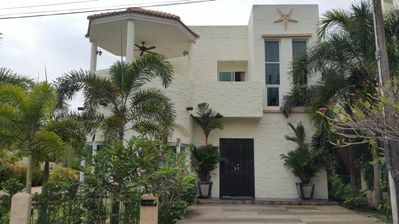 It is one of the largest properties available in this small gated community. 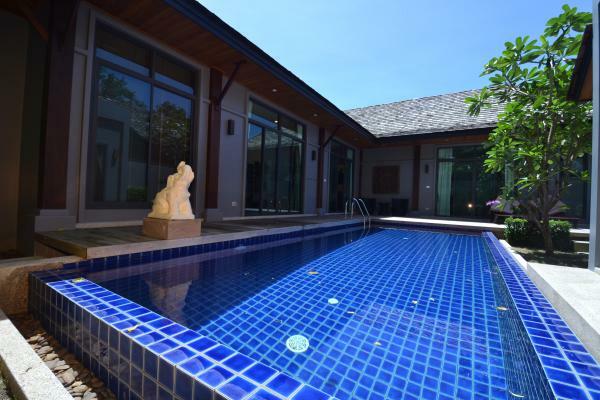 Offering full comforts, this modern 4 bedrooms with ensuite bathrooms, living room, sundeck terrace, extra-long private pool of 3 x 15 meters and garden. 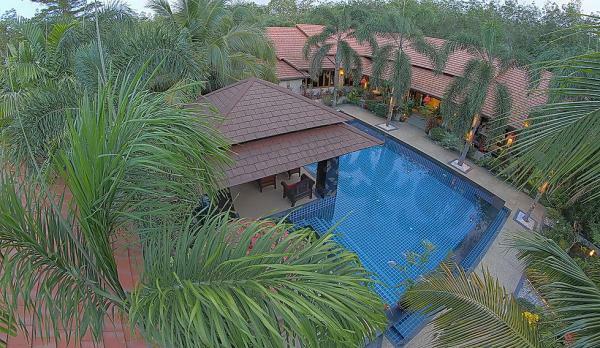 Each of the two upper-floor bedrooms has an en-suite bathroom and large covered balcony overlooking the garden. 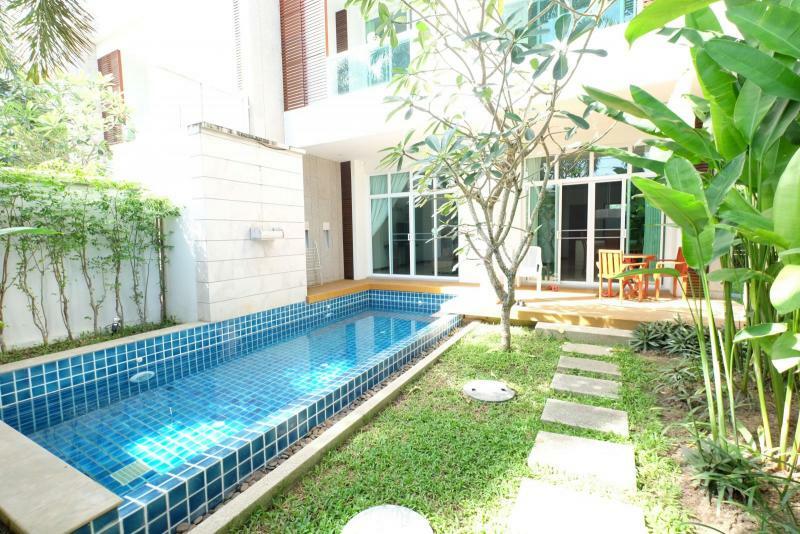 The 2 another bedrooms are on the ground floor with open-plan living dining, kitchen area. 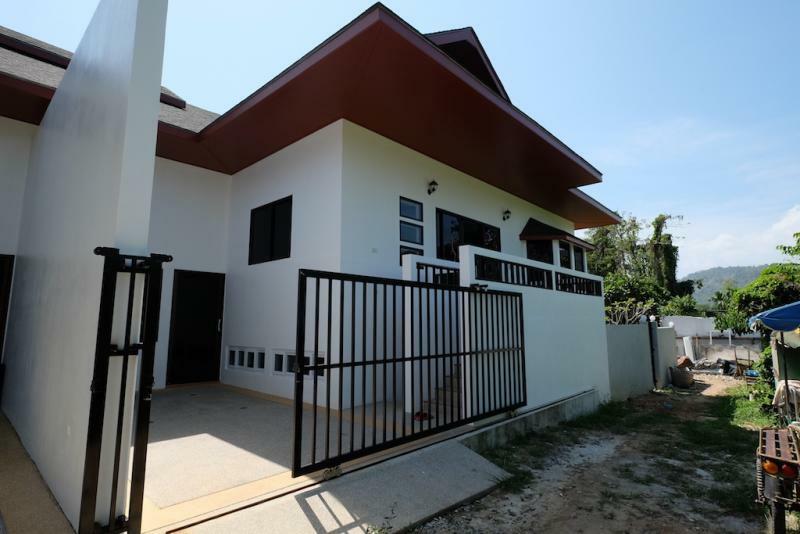 This property offers an excellent investment opportunity in a trendy, fully-equipped holiday home with attractive guaranteed returns, included in the development's holiday rental program if the buyer wishes it.